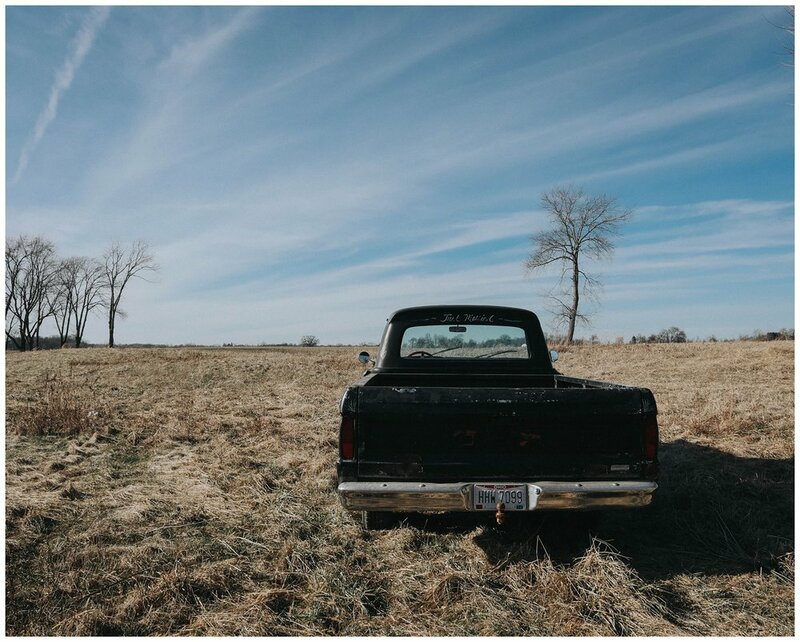 When we moved into our house I saw an old truck parked in the neighbors driveway. I told Mike, my hubs, that if it ever came up for sale, we would buy it. Three years later, right before Christmas, she flowed her way into our lives!! I would like to introduce you to Gladys. 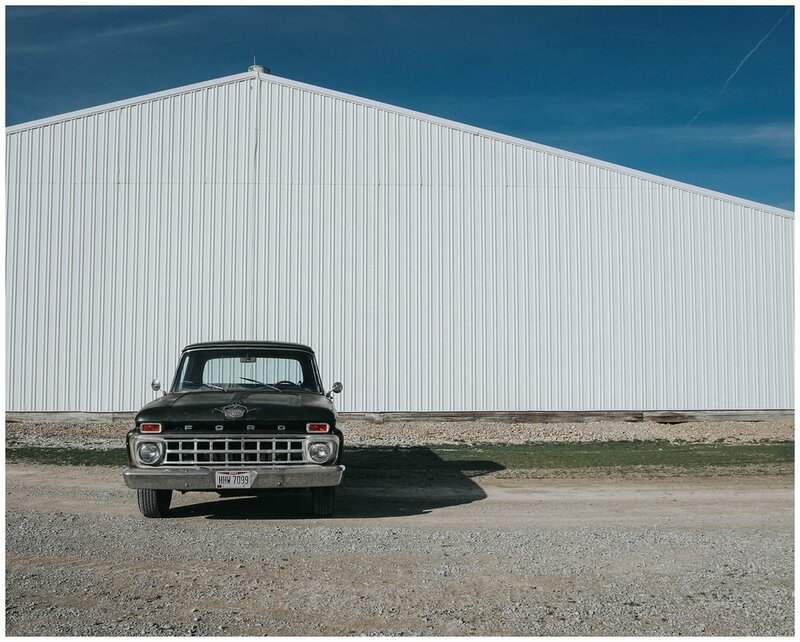 My 1966 Ford F-100. 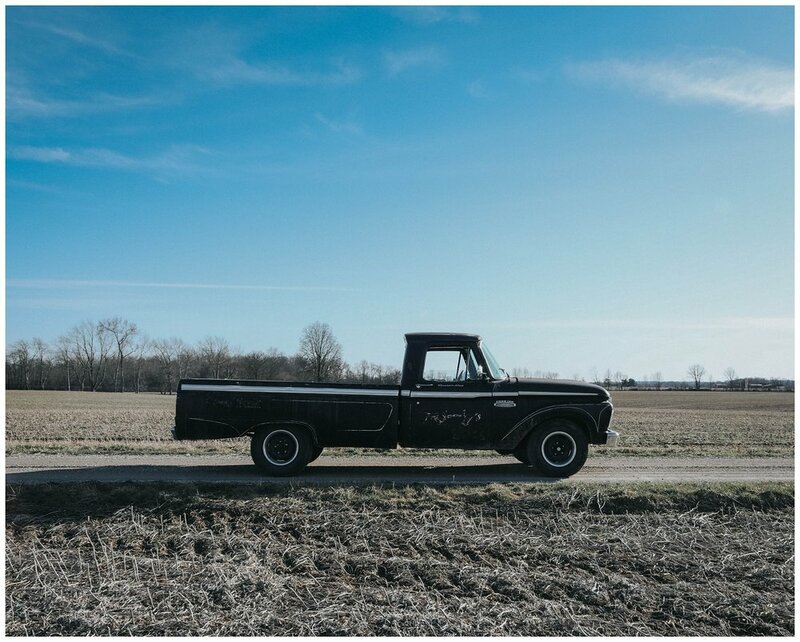 The fourth generation of the Ford F-Series is a line of pickup trucks and commercial trucks that were produced by Ford from October 1960 to August 1966. Sleeker and wider than its predecessor, the new F-Series introduced several firsts to the truck line. In October 1964, the 1965 F-Series was introduced an all-new frame, which would then be used on the F-Series until 1979. In contrast, the body remained largely unchanged, but the 1965 and 1966 models the turn signals are above the headlights. My love of all things vintage is inspired by my late grandmother, Gladys. She was classy and fashionable but had a lot of attitude. Being full blood Italian, she always had something to say and freezer full of Reece's Peanut Butter Cups to soften the blow. Ha! The first time we drove the truck, we knew her name should be Gladys. She's elegant, sassy and a little rough around the edges. Not to mention she's sparkly red inside. What better muse than my grandmother!? We are leaving her as is for now, the gruffness adds to her vintage character!! We plan to add my logo to the doors and have the 'Just Married', on the back, touched up. Gladys will make her debut in Christmas Mini Sessions and hopefully in my Wedding Collections. Keep an eye out for announcements ;) I cannot wait for you all to see her in person but in the mean time, enjoy her first photoshoot! !